Whether you're off to an office party, cocktail reception, girls' night out or just feel like getting pretty for Santa Claus, here are my top recommendations for a great holi-dazzling look! Let's Get Ready to BINGO! As many of you know, I have made it a priority in my life recently to make sure that I give back. With the amazing network of people I've had the pleasure of connecting with here in Chicago, what better way to get everyone together to have some stupid, silly fun for a terrific cause? 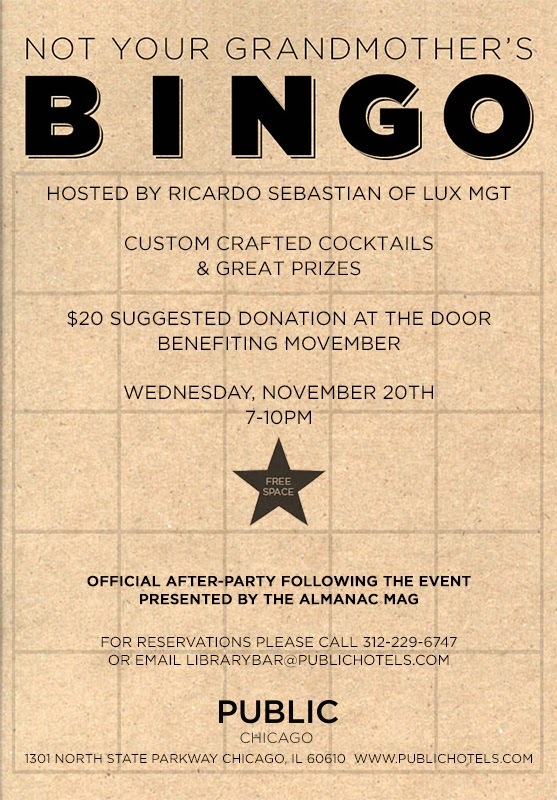 Each month I have taken it upon myself to organize a BINGO fundraiser at one of my favorite hot spots, PUBLIC hotel. 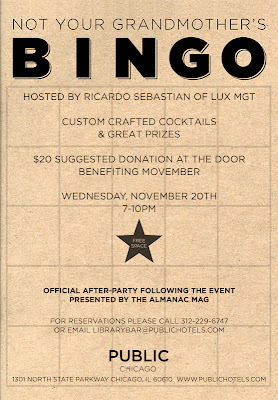 But don't get me wrong, this is not your ordinary BINGO, the event is always filled with swanky tunes, cocktails, great prizes and some of Chicago's most influential movers & shakers. 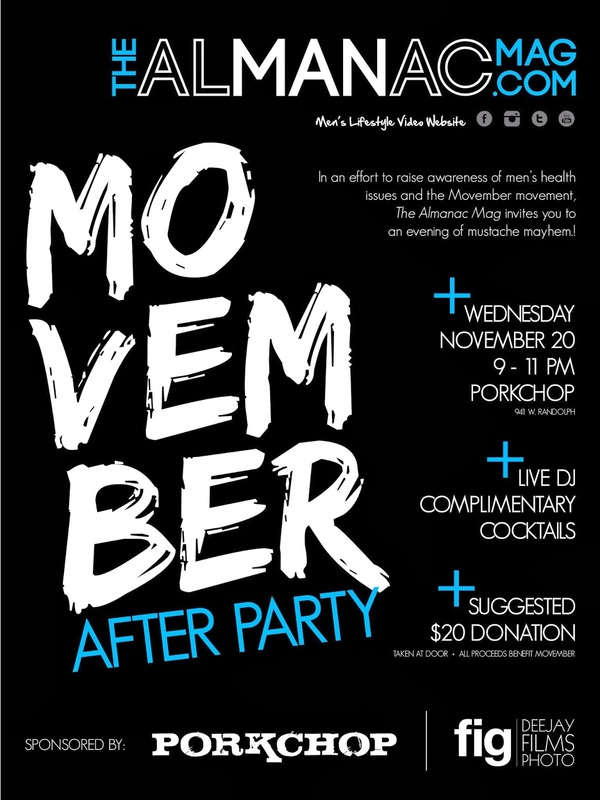 Make sure to come join us TONIGHT as we spread awareness for men's health and raise funds for Movember! 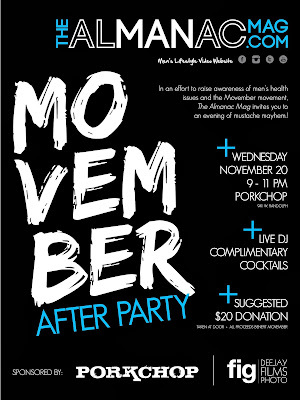 Make sure to also join us for the official after party at Porkchop sponsored by The Almanac Mag for an open bar, live DJ and an incredible hump day party! Whenever I'm asked what my typical "go to" style is I usually revert to answering with "Classic, sophisticated and a bit unpredictable." However, recently I've been tiptoeing outside of my comfort zone and trying something I like to call "Glam Edgy." Sporting my first red lip a couple of weeks ago at the adoptedSTYLE + Cheeky Chicago LOFT fashion show, breaking out my leather Michael Kors jacket find from 2 winters ago, and making my first splurge on coated waxed denim, I now have my new Fall/Winter evening look all ready to go!